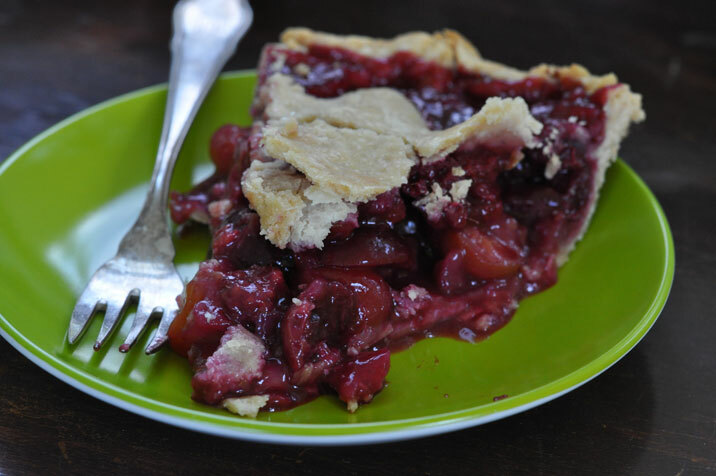 Summerburst pie captures my favorites tastes of summer! This past week was to be my week of alone time (not counting the hard working Lieutenant); The Fourth was over and I was going to catch up on my work, catch up with my friends, paint the goat villa, and perhaps fold my 17 loads of laundry eagerly awaiting me. This was because, miracle of miracles, all of the kids were going to be gone at the same time; an event that has never occurred in my lifetime. Miss G. at her internship at the Duke University Lemur Center, Mr. D. at high school leadership camp & Coco at our Presbyterian Church Camp a couple of hours away over the mountains in Eastern Washington. 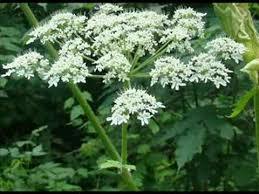 Alas, it was not to be and all because of the Giant Hogweed, an extremely toxic plant no one around here has ever heard of. On her first full day of camp, Coco fell off a log onto a Giant Hogweed. Later that day her ankle was swollen and spots appeared on her body which grew and blistered. Initially, insects were suspected, but ruled out…The next day, it was deduced that it had to be a plant that did it. She was taken to the doctor in the nearest town who spoke to the weed people in New York state (who are the giant hogweed experts) about it. 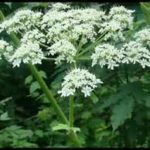 The sap of the giant hogweed contains photosensitizing furanocoumarins (no, I don’t know what that means), so when it contacts human skin in conjunction with sunlight, it can cause phytophotodermatitis. Ugh!!! Coco was prescribed steroid cream & ordered to stay out of the sun for 48 hours. The no sun edict, large oozing blisters, and very swollen ankle ruled out staying at camp. So, on day 2 of the week alone, I was alone no more. Roll out bottom crust to fit a 9 inch pie pan. 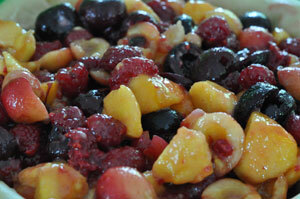 In separate bowl, mix together cherries, raspberries, peaches, sugar and flour. Pour mixture onto bottom crust and spread out evenly. Dot with the butter chunks. Roll out top crust and place it over the pie. Crimp the edges together and poke the top crust to allow for venting. Bake at 425 degrees for 15 minutes. Reduce temperature to 375 and bake for 30 to 45 more minutes. Pie is done when crust is golden and the juice is vigorously boiling and seeping out the top. So as you know, I’m not a fan of pies but this yummy looking delight could make me a convert! As for Miss Coco, oh dear! Hope she’s on the mend soon so she can help you fold laundry and paint the goat villa.